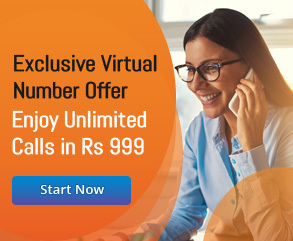 As an automated telephony system, Interactive Voice Response (IVR) facilitates interaction between computers and humans through voice calls, speech recognition, or telephone keypad. The new age call centre solutions are designed with features to interact with callers, analyze the calls to gather relevant information, and route the calls to the most appropriate agents. Enterprises from various industries leverage IVR solutions to interact with customers without any human intervention using pre-recorded and dynamically-generated audio. At present, enterprises even have option to choose from on-premise and hosted IVR solutions. 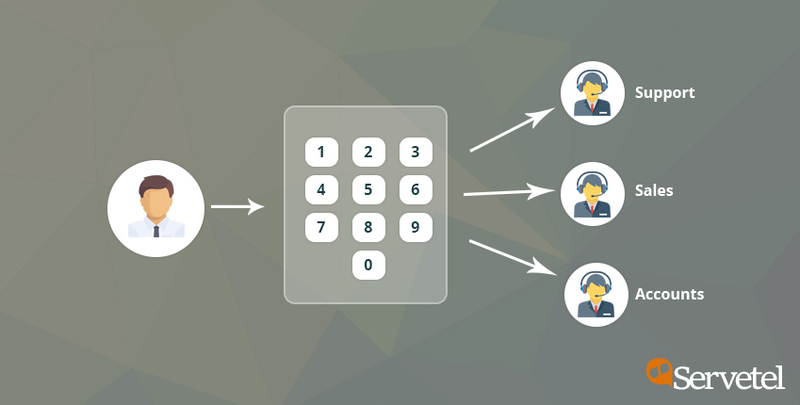 A number of studies suggest a steady increase in the number of organizations switching from on-premise IVR applications to hosted IVR applications. The interactive voice response (IVR) market was valued at USD 3.73 Billion in 2017 and is expected to reach USD 5.54 Billion. The growth of IVR market is being driven by a myriad of emerging technologies – cloud computing, natural language processing (NLP), and data analytics. The companies of varying sizes and types leverage IVR applications to improve customer experience and brand image. At present, IVR systems are being used by call centres, bank, and other private sectors. Companies use sophisticated IVR solutions to receive input from the customer and produce output by processing the information immediately. The IVR systems help businesses to save both time and money by assisting, directing, and guiding customers without deploying live agents. The businesses can leverage advantages of IVR systems in a number of ways. Many businesses take advantage of IVR applications to increase call capacity of these inbound call centres. IVR systems help customers to avail relevant information and select the appropriate department by providing voice instructions. The self-help options provided by the IVR applications help businesses to improve customer satisfaction without help of agents. The small businesses and start-ups adopt the call centre technology to make customers trust their call centres. In addition to increasing call capacity, the IVR applications help businesses to reduce answering time significantly. As the s facilitate interaction with customers using pre-recorded and dynamically generated audio, the clients can avail information or solve issues without contacting a live agent. At the same time, the IVR applications save answering time by redirecting the callers to the right department or agent. Often businesses need to explore ways to improve customer engagement and resolve customer issues. The automated customer interaction facilitated by IVR systems helps business to address customer issues without the intervention of agents. IVR applications help customers to gather information about products or services by providing computerised voice instructions. Hosted IVR applications enable businesses to set up and manage call centres without investing additional resources and cost. The enterprises also have options to customise and extend the IVR solutions according to their business model and communication needs. These solutions leverage artificial intelligence (AI) to communicate with customers in their native languages. The IVR systems make it easier for businesses to improve customer relationship by providing an array of customisation options. These options help enterprises to impress and engage customers by delivering personalised welcome greetings according to the caller IDs. In addition to addressing a caller by their name, the IVR applications can gather their personal information like birthdays and buying preferences. Moreover, these call centre solutions can be programmed to interact with customers in a language selected by them. Often small businesses and start-ups explore ways to enhance call centre availability by eliminating common bottlenecks like agents availability, working hours, and holidays. The small businesses and start-ups can leverage IVR technology to provide information and resolve issues 24 hours a day. Also, the call centre technology enable customers to access call centre anytime regardless of agents availability. Many customers nowadays prefer to resolve issues or gather information through computerised voice instructions provided by IVR systems. But several customers still prefer talking to a live customer service representative directly. The IVR applications enable customer to use self-help options or interact with live agents. In addition to providing relevant information and instructions to the caller, call centre solutions keep the call on hold till the right agent or department is available. Also, they can request the customers to get their call returned as early as possible. Many businesses nowadays leverage IVR applications to reduce overall call centre deployment cost and time. They can access the hosted IVR solutions just like other web-based portals; they need not invest in expensive hardware and software. The small and medium-sized enterprises (SMEs) can further leverage IVR solutions to improve inbound call centre operations without hiring large number of live agents. 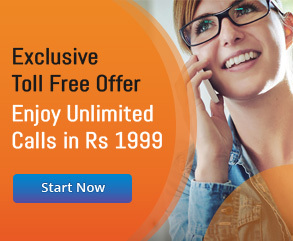 It reduces call centre’s workload and cost by redirecting the calls to the right agents. Personalised and prompt customer service delivered by the call centre technology further helps companies to project a larger and more professional image. The small businesses and start-ups can use IVR applications to keep the call volume and customer service quality consistent. They can further improve company image by switching from on-premise to hosted IVR systems. On the whole, hosted IVR systems provides several benefits to businesses to save both time and money with this automation. Advanced IVR features further enhance the whole customer experience and makes it a go-to communication solution for business.